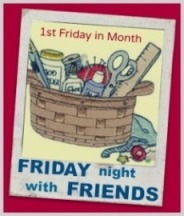 Thanks Wendy for hosting FNSI - I wonder if you managed to stay awake and do some sewing after your trip away? maybe because she is ironing fabric when there is all that laundry on the bed to be sorted out!!!! I use one of our 'guest' rooms for ironing. 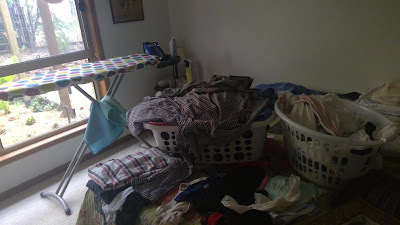 There is a nice big bed to store the clean laundry but most of all it makes me move around to go and get my pressing/ironing done when I am sewing. 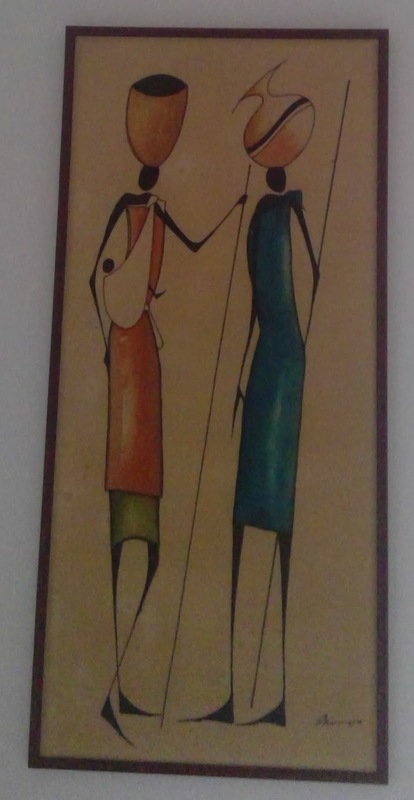 I have a couple of pictures in there which I love.... these are painted on cloth and from Uganda (where I visited many years ago) This picture depicted peace in spite of differences. 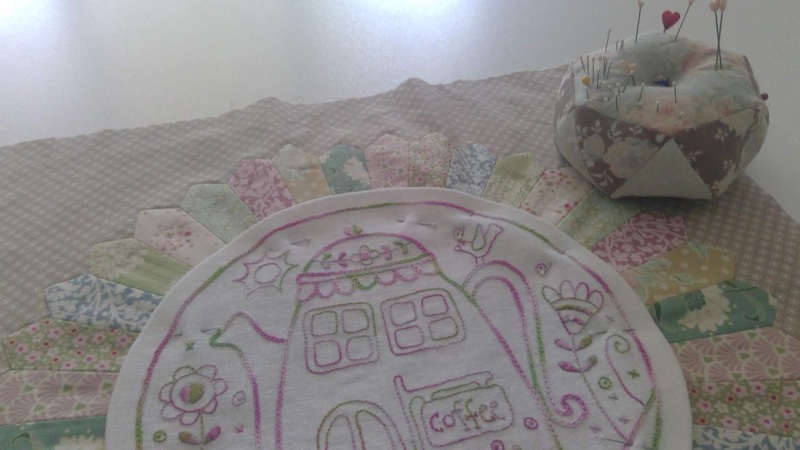 This morning I pinned on the Flowerville stitchery to the dresden circle to stitch down tonight. We had a nice bit or rain last evening …. 37mls and today is overcast so hopefully that wet can spend some time soaking into the ground. Of course more would be greatly appreciated. 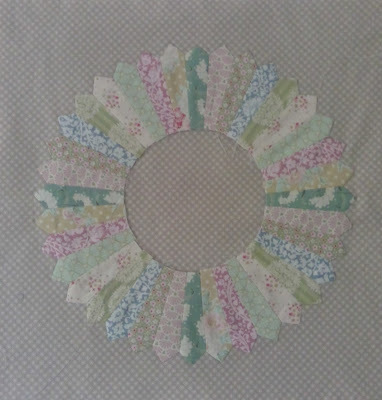 I love the Dresden in Tilda fabrics. It is coming along nicely. I’m glad I’m not the only one who gets behind with the ironing, but I am getting a bit better........now we won’t talk about the mending basket...... I love the story behind your artwork. Lovely memories of your travels. 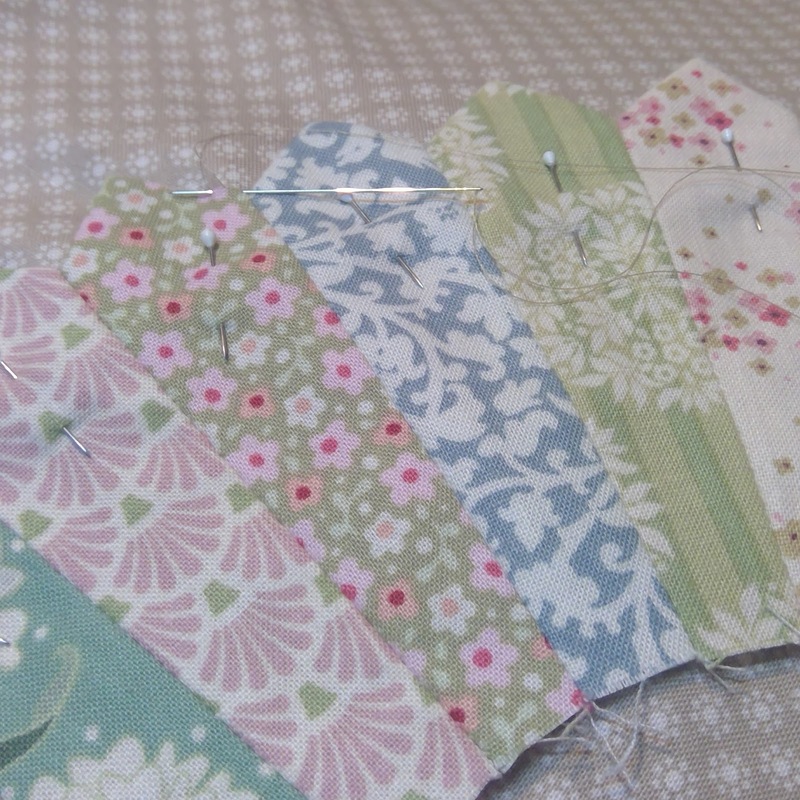 Those fabrics look beautiful in the dresden and that mouse is so cute. I have some old paintings, I bought years ago, but I don't hang much art now since I have so many quilts and my own pieces to hang, time to pass on to the kids. Oh, I do envy you your rain......it's cloudy here today but not a drop so far, on our side of town anyway. Flowerville is very pretty, and your ironing mouse is sweet! I love seeing your treasures from your previous home, they are very special. My iron is in another room to my machines, it also makes me get up and take a break from sewing. That is the cutest little mouse and those fabrics are so soft and pretty. 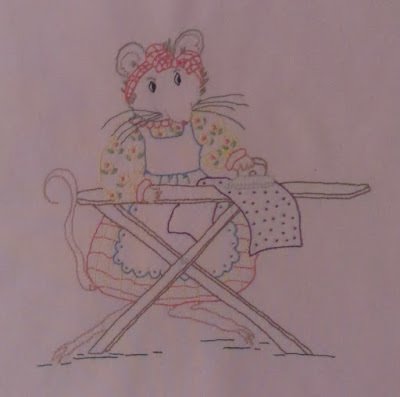 I do like that mouse and that she is ironing fabric. You have a lovely collection of wall art. Thanks for sharing it. 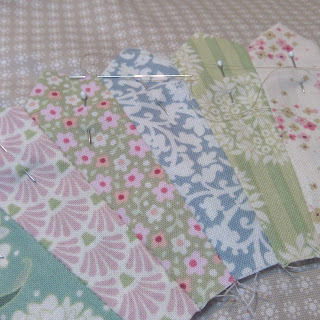 Those Tilda fabrics are so pretty and work so well in a Dresden. Your special pictures won't mind if the ironing isn't done. Pretty Dresdens and such a pretty little 🐭 mouse . Hmm I think we all have a nice pile of ironing waiting to be done. 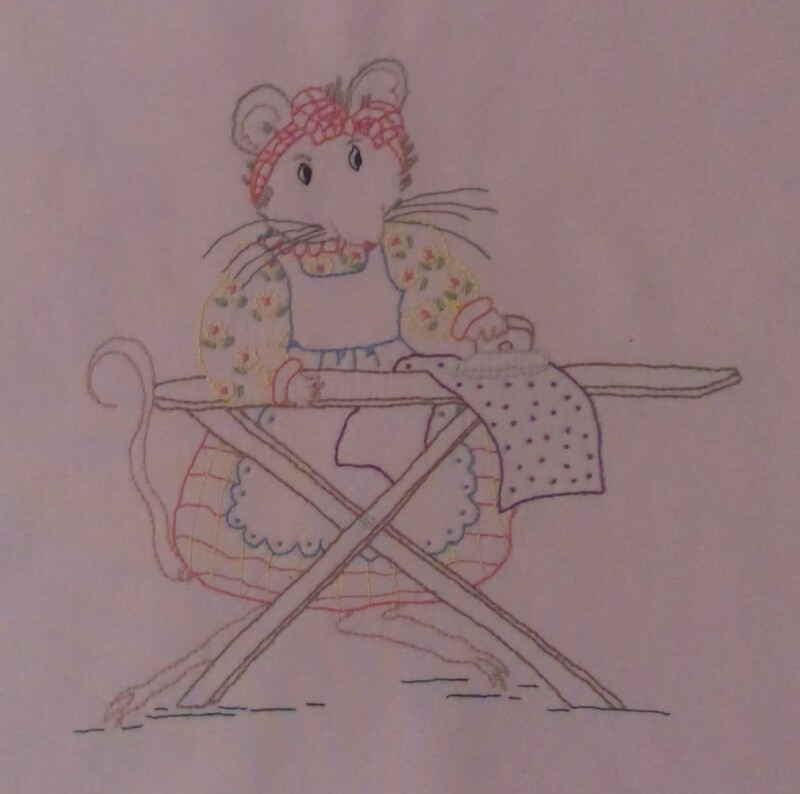 Hi Fiona lovely work my friend ,your dresdens are so pretty and how cute is your mouse. What a good idea to put your laundry in a spare bedroom and to have your ironing board set up there too. LOL darling little guilty mouse!!! I guess it's a good thing my guest room doesn't have a bed yet....love your pictures from Uganda. Beautiful art, nice to have things that have meaning to you. Your dresden and stitchery are lovely. So good to have some rain. Great that you can hide the laundry in a spare room...Love these artworks. 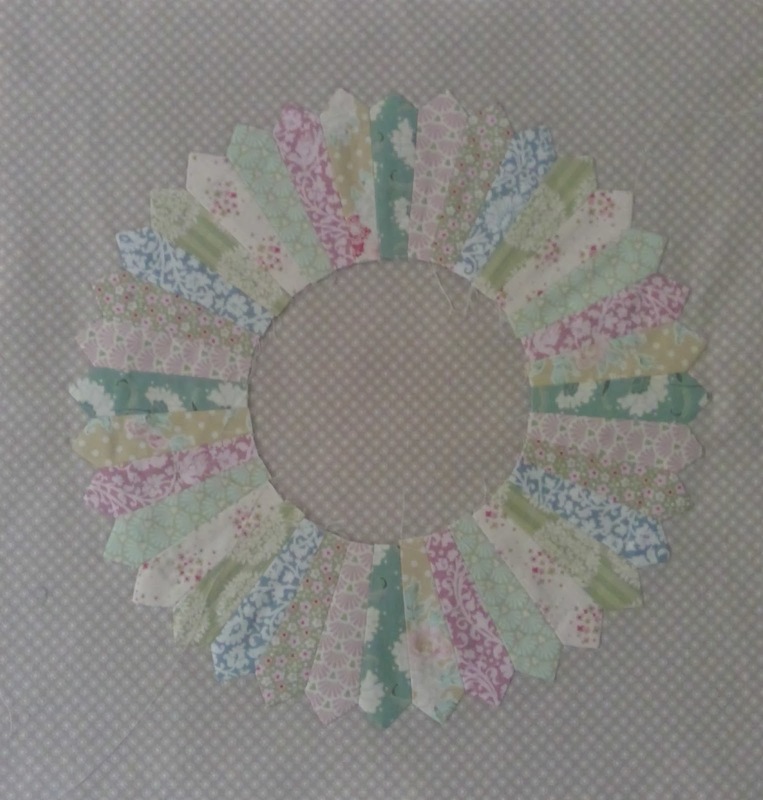 Beautiful work for FNSI, the fabrics are so pretty.